".... and thank you, Alan Kalter! 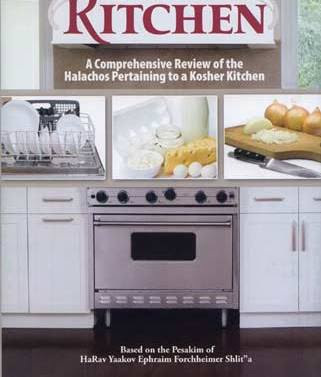 Welcome to The Politically Correct Overage Jewish Guy's Kitchen, the cooking show that, unlike Paula Dean, shows you respect! I'm your politically correct host and chef, Perry Block. Today we're going to cook up something much beloved by the Chosen People and especially beloved by those of us so long in the tooth we've experienced more Sunrise/Sunsets than the actor playing Tevye in a touring company of Fiddler on the Roof! Today we're making Matzoh Balls! What could be More Jewey than that! As we all know, there's a major conflict in Judaism between the relative merits of sinkers vs. floaters. No issue short of whether it's acceptable to say you liked Dean Martin more than Jerry Lewis divides the Jewish people more sharply! Today we'll focus on the sinker, that leaden object of gustatory desire oft preferred by members of the rapidly dwindling generation of geriatric Jews like your Aunt Tessie with the undulating under-arm flab and colorful Yiddish expressions for anyone hailing from a non-Jewish ethnic group. Next week we'll address the floater, more generally favored by Cousin Marvin, the successful accountant and treasurer at the synagogue whom everybody used to call Space Cowboy back in the 40 year ago day when he looked like a Jewish Frank Zappa. Before us we have all of the ingredients we need --- two large eggs, vegetable oil, one-half cup of matzoh meal, and chicken broth. Nothing expensive here, which is just the way we tried and true members of the Tribe like it most! First I beat the eggs together, add the matzoh meal and oil, and blend carefully. I haven't seen such a blend since my ill-fitting and loud Bar Mitzvah suit in 1963! I am also simultaneously boiling a potful of water. BTW, I once dated a Jewish girl who was such a bad cook she couldn't boil water! But she did know how to make reservations at all the best places that could! Next I carefully form the mixture into big balls, something few Jewish guys know much about, then drop them into a pot of boiling water and get 'em cookin' for about half an hour, cookin' for about half an hour definitely something few Jewish guys know much about! Now we chill them in a refrigerator and out they come ready for the soup! Except our refrigerator broke down earlier today and we've only Jews on the set, so of course there's nothing to show you ready for the soup. Like Jews are going to fix something? BTW, how many Jews does it take to screw in a light bulb? Who knows, none of us has ever done it? Ha! Ha! Ha! Well, that's all the time we have today, thanks for watching The Politically Correct Overage Jewish Guy's Kitchen, the cooking show that shows you respect. We just don't show it all that much to ourselves. Make sure to tune in next week when Special Guest Paula Deen joins us and we teach her all the offensive things she should never say about the Jews that we say all the time ourselves! Oy, my aching back! I need to get me to Miami Beach! Chef Perry...your recipe for kasha varnishkes please...and this request is from a shikse...is that politically correct? A shikseh? You've been an unofficial Jew for over 30 years. And perhaps more so than me since I don't even understand what you're talking about! I really appreciate the respect, more cooking shows should focus on that. Paula Deen should give up cooking and become a stand-up comedian. Then she could slam every racial and ethnic group without worry of offending anyone--except us hillbillies. BTW - I've got a really good recipe for Dutch oven Possum pie you might be interested in. We can make it kosher. "How many hillbillies does it take to cook a possum?" Two. One to cook the possum and the other to break it to the rest of the family that Uncle Ralph is gone. I have no idea whether that's funny or even what it means.